Who says Facebook isn’t the place to find true love? When we asked Scot how he met Mary, he told us. “I met a girl named Mary in Naples, FL – and later on, I checked her out on Facebook by searching “girls named Mary in Ft Myers, FL”…on Facebook. ONE “Mary” got back to me after I sent her a friend request and she asked (wrote) “Do I know you?” I said, “no, but I met a girl named Mary I liked and wanted to check her out!”. Mary and I became Facebook friends and I never asked her out (I should have – but I thought she was “out of my league”). Some years later Mary had a bumpy flight from Connecticut to Florida and messaged Scot who’s a pilot btw asking if “turbulence can crash an airplane?”….thus starting up a new conversation and we talked and texted and spoke on the phone for a month before Scot asked her on a date in Clearwater beach Florida. After the 1st date, Scot thought Mary was the prettiest girl he ever saw. I almost had a heart attack at how beautiful she is the first time I saw her, said Scot. I still think she is…as well as so funny and nice to everyone she meets. I’m so impressed by her accomplishments and hard work. Mary thought Scot was a smokin’ hot ginger; and also a total gentleman. Scot decided after 6 months he wants to marry her but waited until about a year after their first date. He stuck a knee in the mud on top of a mountain in Colorado and asked her to spend the rest of her life with him. The rest is history and here’s their wedding film. 3 Comments on "Mary and Scot / Married"
Love this ! 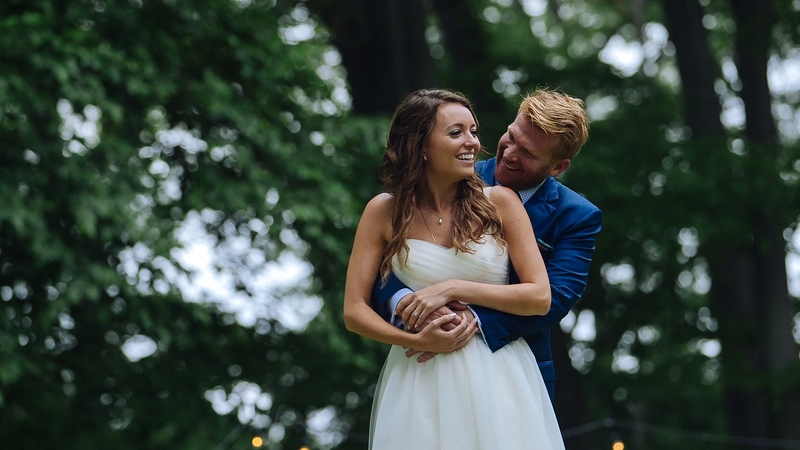 Such a sweet couple surrounded by family and friends in a storybook location... the best day ! Amazing video, even more amazing story! Well done!